I grew up reading Dr. Seuss and having it read to me. 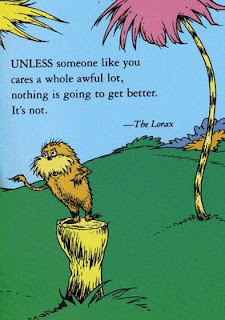 Most of my childhood memories of reading involve one Seuss book or another. And now that I have children of my own I love reading Dr. Seuss books to them more than any other. 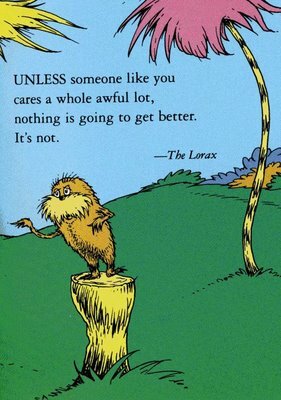 There are so many simple truths in Seuss books that are stated in ways that children can understand, but sometimes adults pass over and don't really grasp...or maybe don't want to grasp. Either way, if we can learn these wonderful truths as children and hold fast to them, maybe we can still remember how to understand like a child when we are are no longer small. Here are a few of my favorite quotes from the great Doctor. Dr. Bronner's for your hair?